Online Marketing Manager | Richard Hartigan: Download Firefox 3.0 Today! Today sees the launch of the Firefox 3 internet browser. The Firefox creators, Mozilla are trying to break a world record for the most software downloaded in 24 hours. I have been Beta testing Firefox 3 for the past month and yet again I have been impressed with the improvements that have been made. Two years ago I was not really aware of Firefox, living my online life as an Internet Explorer (IE) drone. Now, I am a massive advocate of the browser. Firefox was the first to introduce the multiple tabs feature to browsers way back in 2002. I often use the view source that uses a coloured index and the handy Find Tootbar. It's faster, slicker and generally more polished than Internet Explorer. Firefox's greatest strength however is it's developer friendliness. There are over 2,000 add-ons, plug ins and themes that can help to customise and enhance a users browsing experience. In 2007, 90% of the funds raised by the made by the Mozilla Foundation came from search engine revenue, the majority of which comes from the paid referral scheme with Google. As the Mozilla foundation is a nonprofit organisation, these funds can go into development, rather than revenue hungry directors. Considering these strengths, I am surprised that market share has not grown more significantly. 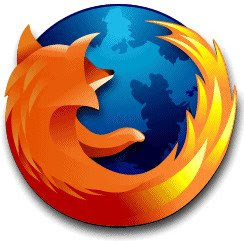 As of May 2008, Firefox recorded an 18% share of web browser usage. Perhaps Steve Vamos of Microsoft Australia was correct when he stated that he "did not see Firefox as a threat." I would Steve.